Visa is one of four major U.S. credit card processing networks. Visa credit cards are among the most widely accepted credit cards worldwide. And while Visa credit cards are issued by different credit card issuers, every Visa credit card comes with certain benefits, including emergency card replacement and emergency cash disbursement, auto collision damage waiver, zero liability, and roadside assistance. On top of the standard Visa perks, Visa credit cards offer other benefits depending on the credit card issuer. Some offer travel rewards while others offer cash rewards or even a 0% introductory promotional interest rate. With that said, let’s take a look at the best Visa credit cards. 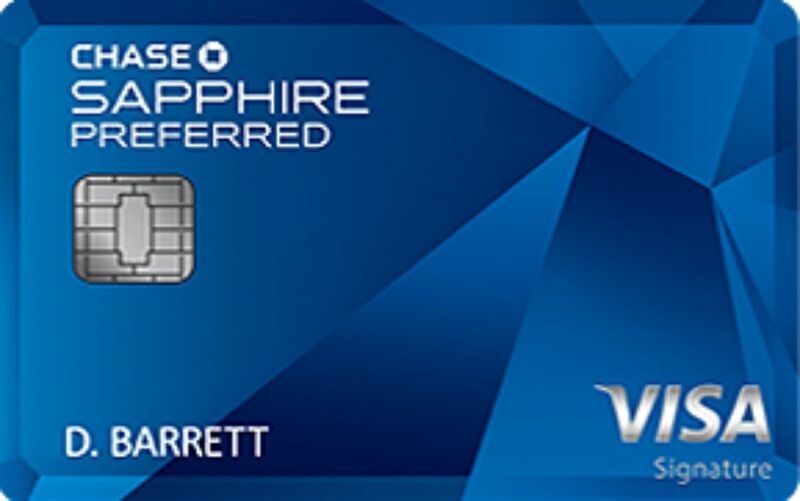 The Chase Sapphire Preferred gives you the opportunity to earn 60,000 bonus points if you spend $4,000 on purchases in the first three months from account opening. If you use the Chase Ultimate Rewards booking too to redeem your rewards, the bonus is worth $750. Important Pricing: The regular APR is 18.24%-25.24% variable APR. The annual fee is $95. The regular Chase Freedom caps the amount of 5% rewards you can receive at $1,500 per quarter, which is about $500 per month. If you’re a big spender or you want a less complicated rewards program, the Chase Freedom Unlimited is a better option. Purchases automatically earn 1.5% cash back. There are no categories to activate and you don’t have to alter your spending to maximize your rewards. Enjoy 0% APR on purchases and balance transfers for the first 15 months after opening your account. Important Pricing: After the introductory rate expires, the regular APR is 17.24%-25.99%. There’s no annual fee. New cardholders can earn 25,000 bonus points after making at least $1,000 in credit card purchases in the first 90 days of your account opening. The sign-up bonus can be redeemed for a $250 statement credit toward travel purchases. Ongoing, you’ll earn an unlimited 1.5 points for every dollar you spend on purchases. If you’re already a Bank of America customer, you can earn additional points. For example, if you have an active checking or savings account with Bank of America, you’ll get a 10% customer points bonus on all purchases. And if you're a Bank of America Preferred Rewards client, the bonus increases up to 75%. Enjoy 0% introductory APR on purchases for the first 12 billing cycles for purchases. Important Pricing: After the introductory rate expires, the regular APR is 17.24%-25.24%. There’s no annual fee. Chase Freedom offers a $150 bonus after you spend $500 on purchases in the first three months from account opening. You can earn up to 5% cash back on up to $1,500 in combined purchases in bonus categories each quarter. You must activate the bonus categories for the 5% bonus rate to expire. All other purchases earn 1% cash back. You can redeem rewards in any amount and your rewards won’t expire as long as your account is open and in good standing. Enjoy 0% introductory APR for the first 15 months from account opening on purchases and balance transfers. Balance transfers are charged a fee of 3% of the amount transferred or $5 whichever is greater. Important Pricing: After the introductory period expires, the regular APR of 17.24%-25.99% applies. There’s no annual fee. The USAA Visa Platinum credit card offers 0%t introductory APR on purchases, balance transfers, and convenience checks made in the first six months. The promotional rate applies until these balances are paid off. Most credit cards don’t offer promotions rates on convenience checks—a type of cash advance—and the introductory rate expires after six to 12 months. Earn 2,500 bonus points with your first purchase. There’s no minimum spending requirement and no timeframe for earning the bonus. Ongoing, you’ll earn one point for every dollar you spend on everyday purchases. You can redeem points for cash, merchandise, gift cards or travel. You must be a member of USAA to apply for the credit card. You can join if you are an active or retired member of the military or if you’re the spouse or family member of someone in the military. Important Pricing: The regular APR is a low 9.75%. There’s no annual fee. Earn 40,000 bonus points after you spend $1,000 on purchases in the first three months of account opening. Ongoing, you’ll earn two points for every dollar you spend on Southwest purchases and one point for every dollar you spend on all other purchases. You’ll also get 20% back on in-flight drinks, Wi-Fi, messaging and movies, plus four upgraded boarding each year (when available). Other cardmember benefits include a $75 Annual Southwest Travel credit and 7,500 anniversary bonus points. Important Pricing: The regular APR for purchases and balance transfers is 18.24%-25.24%. The $149 annual fee is applied to the first billing statement. Earn 80,000 bonus points after spending $5,000 on purchases in the first three months after opening an account. If you use Chase Ultimate Rewards to redeem your bonus points, they’re worth up to $1,000. Not too bad, for only spending $5,000 on purchases. Ongoing, you’ll earn top rewards on business purchases. You’ll receive three points for every dollar you spend on the first $150,000 you spend in designated business categories, including travel, Internet, cable and phone, shipping, and social media/search engine advertising. All other purchases earn one point per dollar. If you max out your rewards each year and redeem through Chase Ultimate Rewards in the business categories alone, you’ll earn 450,000 in rewards. Book through Chase Ultimate Book and your points are with 25% more: $5,625. Purchases outside the designated business categories will earn one point per dollar. Have employees that make company purchases? You can add employee cards at no additional cost. You’ll also have access to other benefits, including auto rental collision damage waiver, cell phone protection when you pay your bill with your credit card, and trip cancellation/interruption insurance. Important Pricing: The regular APR is 18.24%-23.24%. There’s a $95 annual fee. A credit card with a long promotional period is the best for transferring balances. The U.S. Bank Visa Platinum offers a special 0% APR on purchases and balance transfers for the first 20 billing cycles. There’s no rewards program, but the card does come with a few other perks. Receive cell phone protection when you pay your bill with your U.S. Bank Visa Platinum. You can choose your own payment due date based on ​what works best with your budget. And you can enjoy fraud protection and online banking. Important Pricing: After the promotional period ends, the regular APR is 12.24%-24.24%. There is no annual fee. Our writers spent 4 hours researching the most popular Visa credit cards on the market. Before making their final recommendations, they considered 16 different credit cards overall. All of this research adds up to recommendations you can trust.